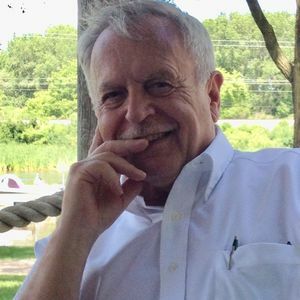 Frederich J. Stohl, LC, IESNA, 77, died from brain cancer (GBM) on August 8, 2018 at Oakwood East in Madison. Fred was a celebrated, classically trained musician in his youth. He was taught piano by his mother, played 1st chair clarinet for four years at Edgewood High School, a national honor society student, and played concert marimba for many years accompanied by his mother on piano. Fred worked at Wisconsin Porcelain Co. as manufacturing engineer during his summers as a college student while studying pre-med at St. Louis University and after he transferred to UW-Madison where he received his bachelor's degree in Economics – HR, Labor and Business. He later became designer engineer, sales director in the lighting industry, most recently employed by SAES Getters, Holophane and Elumen Lighting (Montreal, Canada). He was a contributing member of IESNA Roadway Lighting Committee to present time, and board member/clerk on Sun Prairie School Board and Diversity committees as well as a long standing member of the American Ceramic Society. Fred lived life to the fullest (Carpe Diem! Shouldn't we all?). He became an expert in all his endeavors and hobbies. To name a few, he was an avid reader, photographer, private pilot, Ham radio operator since 1971, breeder of Samoyeds and professional handler and specialty judge in AKC conformation with several breeds, and past president of the Samoyed Club of WI. His winningest Samoyed was Mikee I, Am Can Ger FCI CH Dancingbear Color Me Bad. Fred also loved skiing (fast!) with family, mostly in Colorado, as well as fishing in Canada for Walleye. He hunted pheasant as a youth and took it up again recently, along with target shooting, and became an active NRA member. Fred is survived by his wife of 50 years, Ruth, and canine companions Mikee II and KC, his beautiful daughters Heidi, Kara and Gretchen, grandsons Joshua and Jason, nephew Andrew (Ann), niece Elizabeth. Preceding him were his parents Kathryn and Alfred, brother Stephen (Charlotte) and infant sister Mary. A visitation will take place from 9:00 a.m. until the time of service at the church. A Mass of Christian Burial will be held at 11:00 a.m. on Saturday, August 11, 2018 at St. Patrick's Cathedral, 404 E. Main St. in Madison. Monsignor Kevin Holmes will preside. Burial at Sacred Hearts Cemetery in Sun Prairie will follow. Special thanks to the dedicated staff at SSM Health, Oakwood East, and Agrace Hospice for their consistent, loving and professional care. The beautiful and interactive Eternal Tribute tells Frederich's life story the way it deserves to be told in words, pictures and video. Will miss Fred at IES meetings. Great guy! I only knew Fred on the internet, but I'll still miss him. May his family find solace. My sincere condolences to your family. Fred was an active member in IES with me for many years and I enjoyed his company. He will be missed. We are sorry to hear of Fred's passing. We will miss seeing him walk by and the occasional chats we had with him. My condolences to Fred's family. We played opposite each other in the musical HMS Pinafore at Edgewood. He was the Captain and I was Buttercup. What a talented musician he was! In reading his obit, I see he had a wonderful life. We missed him at our 60th class reunion on Sunday. Attended wedding for his first wife, my cousin Kay Owens, mother of his children. Stohls were an important family in Sun Prairie.